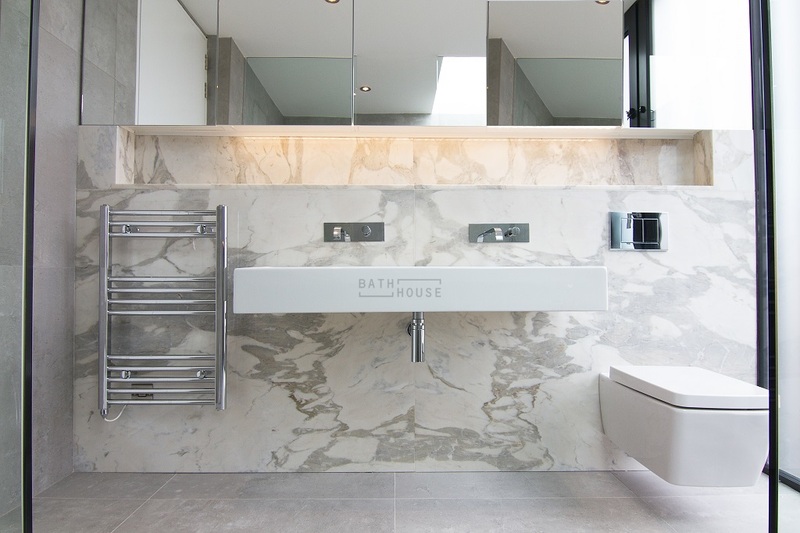 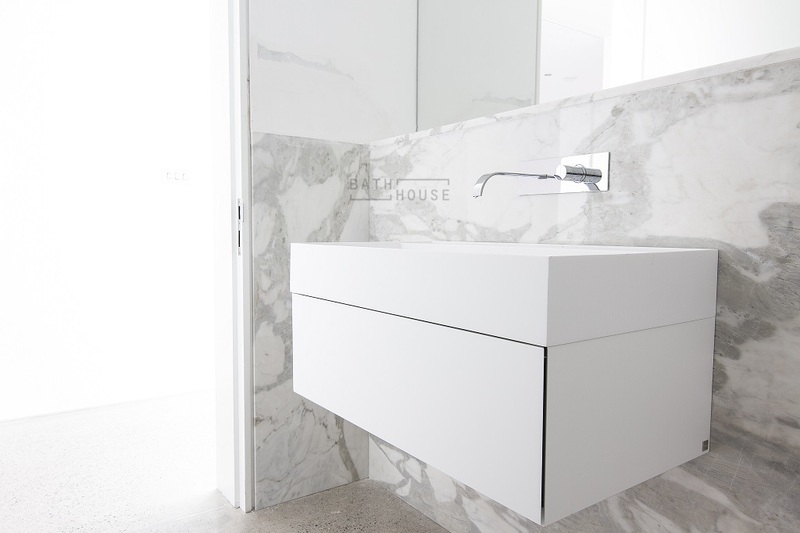 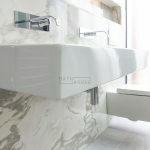 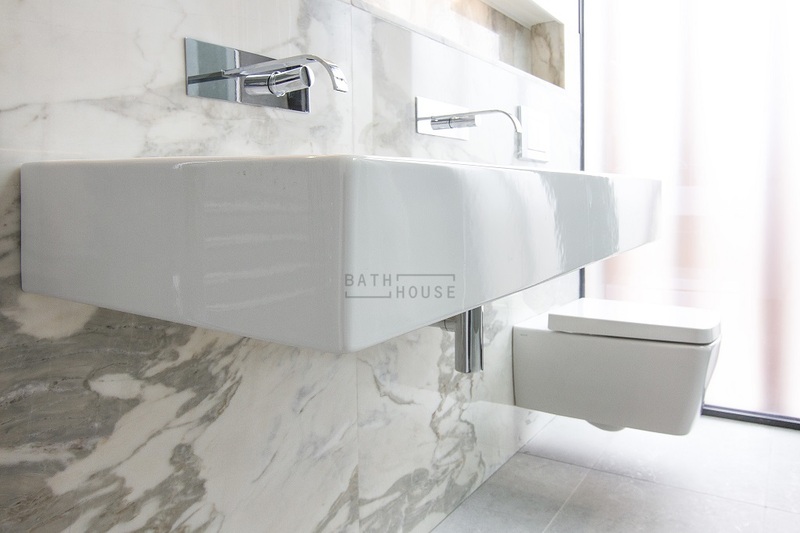 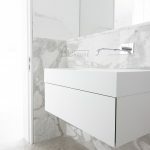 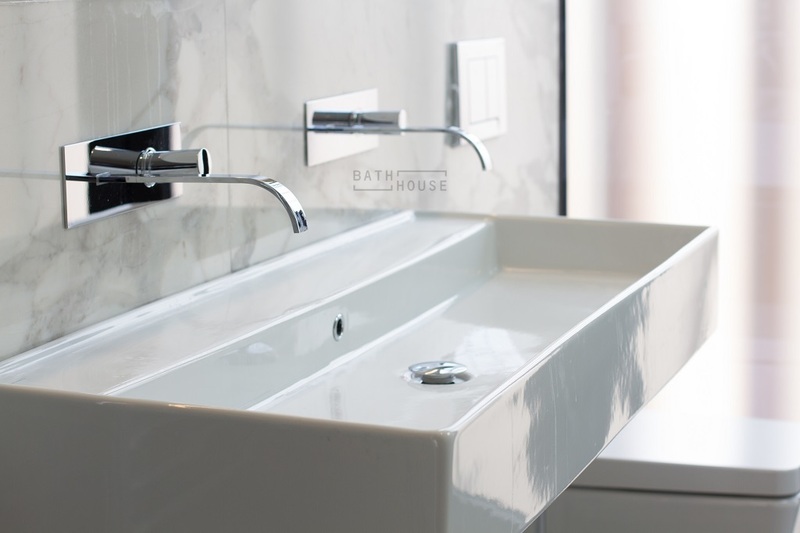 Vanities: Scarabeo Teorema Basins and Falper Quattro.Zero 1 Drawer Vanity unit with Ceramilux Washbasin. 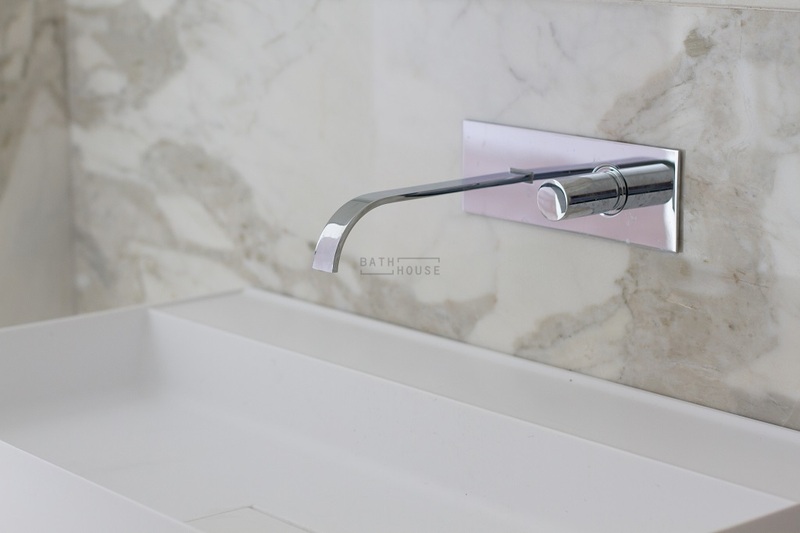 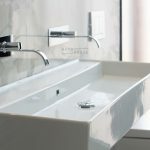 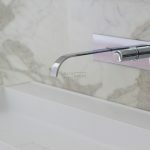 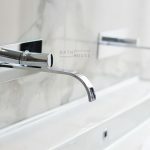 Vanities – Bonomi Arco Wall Mounted Basin Mixer. 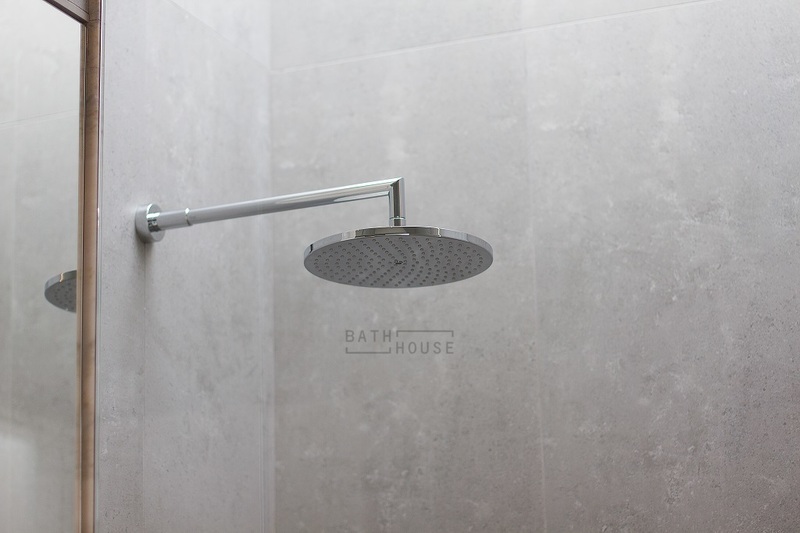 Showers – Crosswater Central Shower Head with Water Square Valves and Inaqua Handheld Shower w/Outlet & Holster. 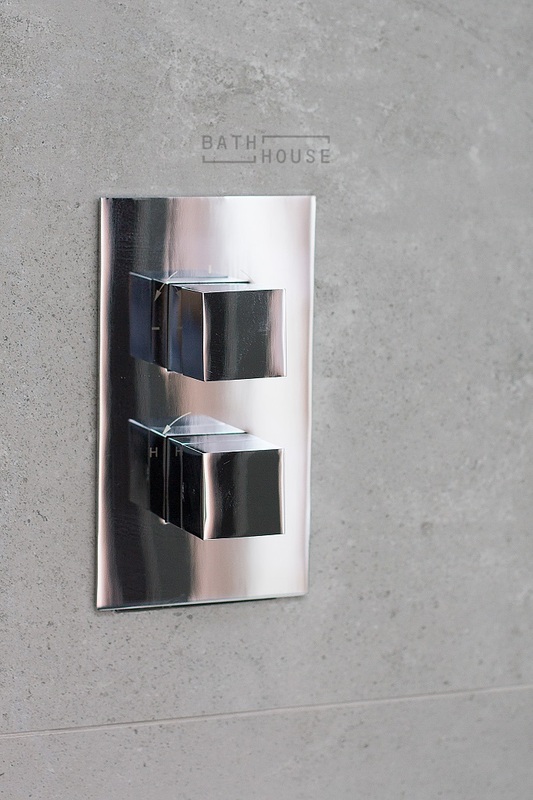 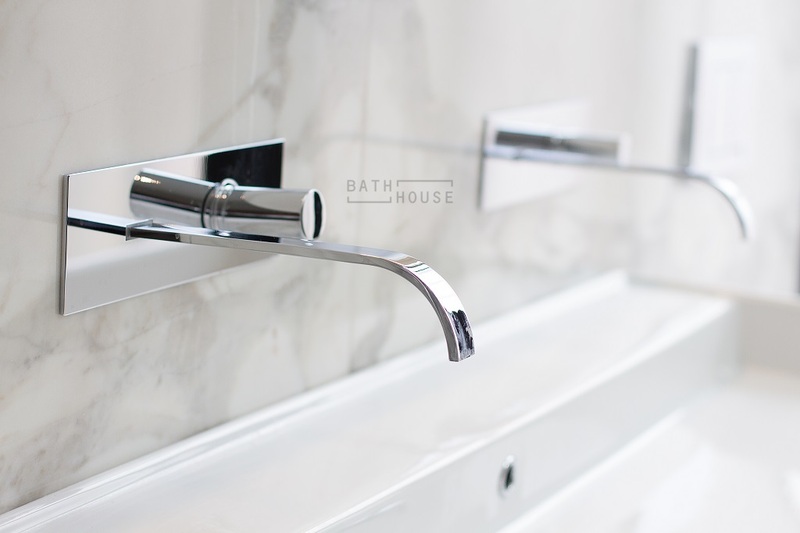 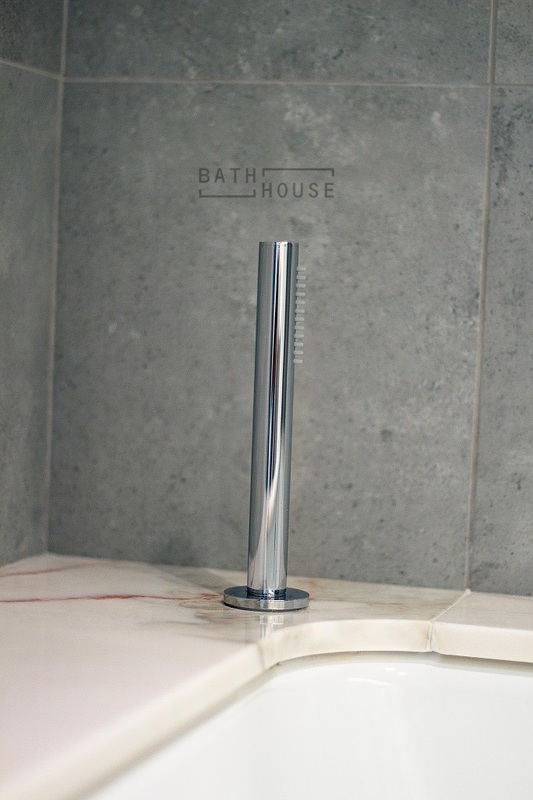 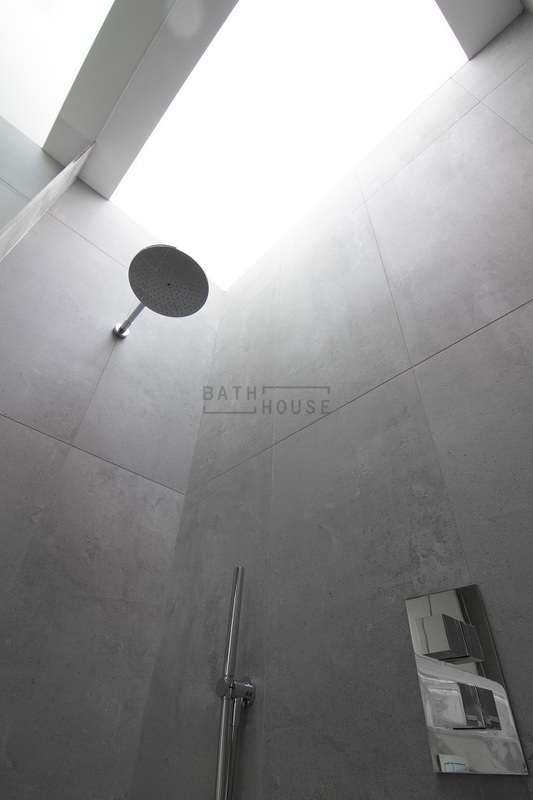 Bath – Crosswater Water Square Valve / Diverter, VS Bath Waste / Overflow Filler and Noken Minimal Handheld Shower. 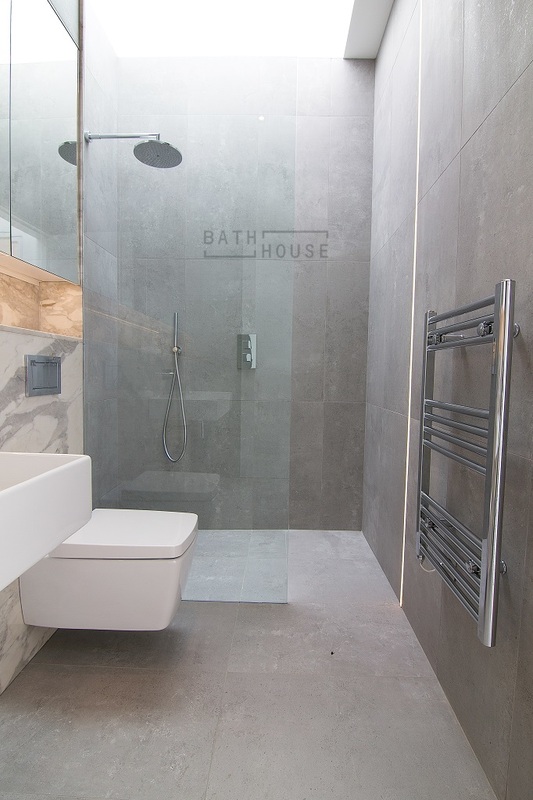 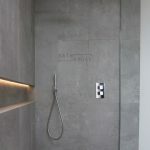 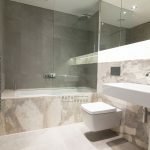 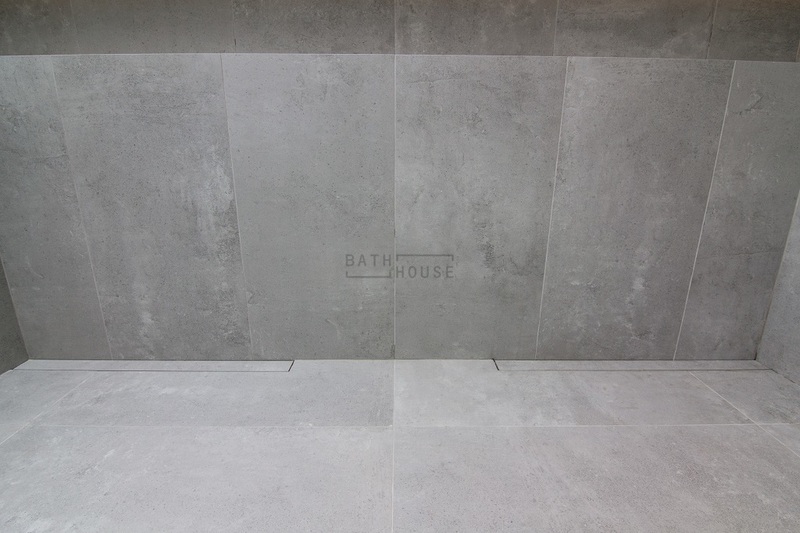 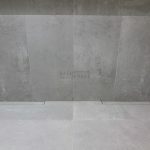 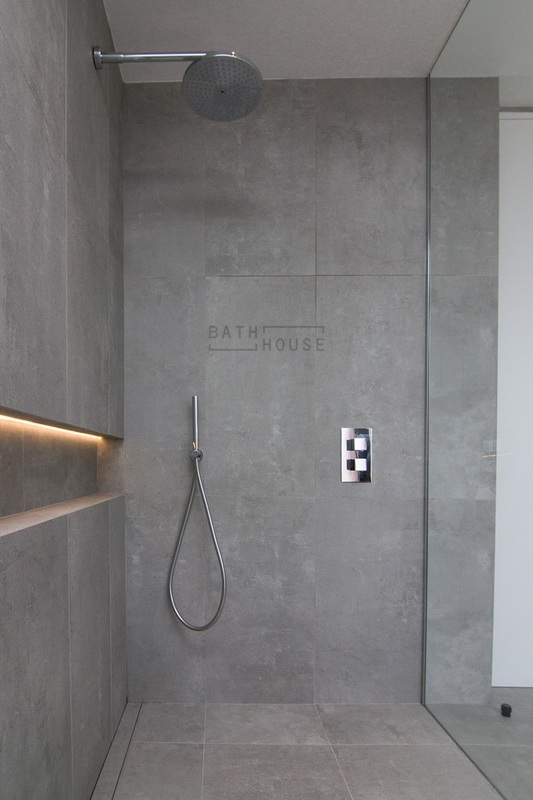 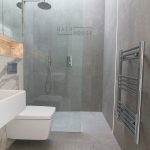 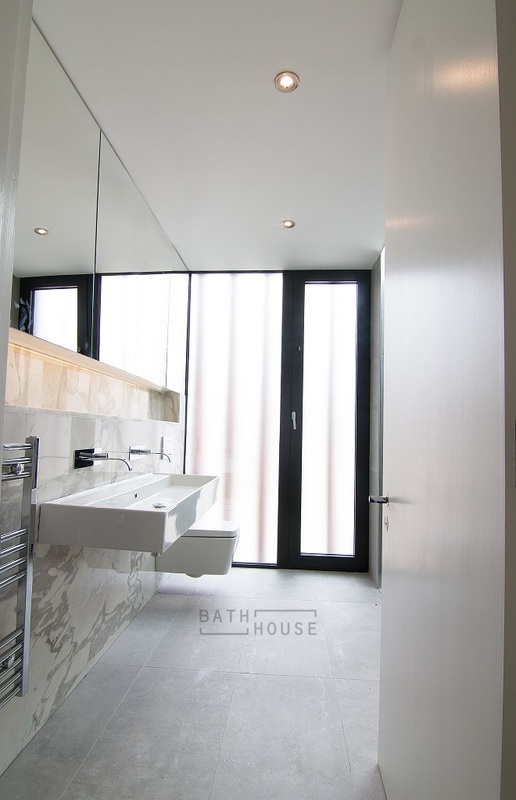 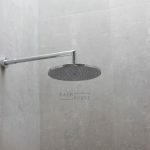 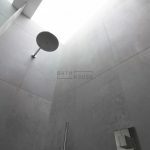 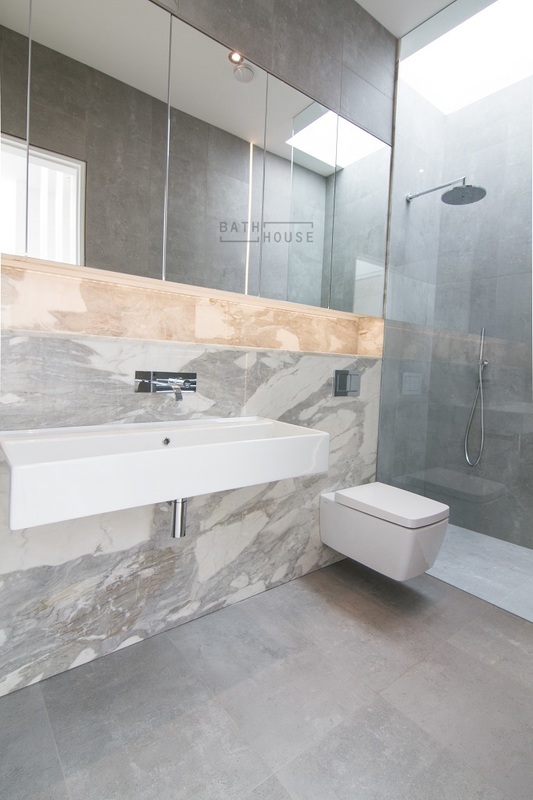 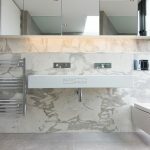 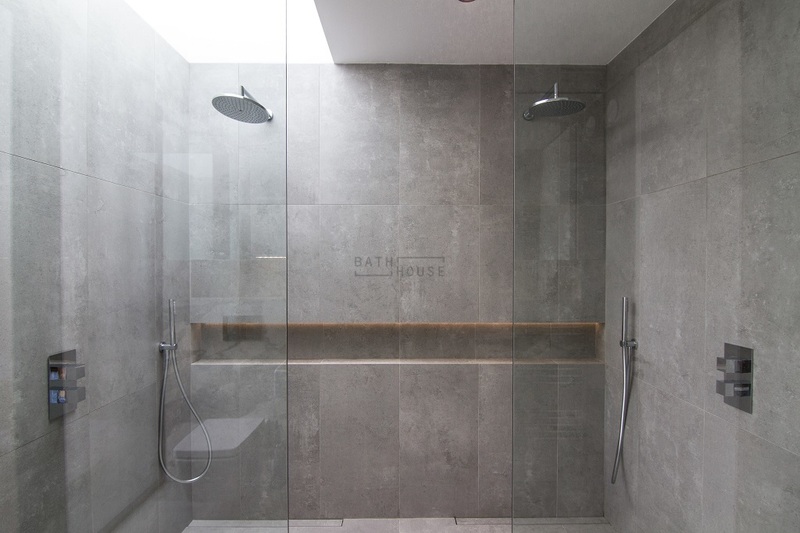 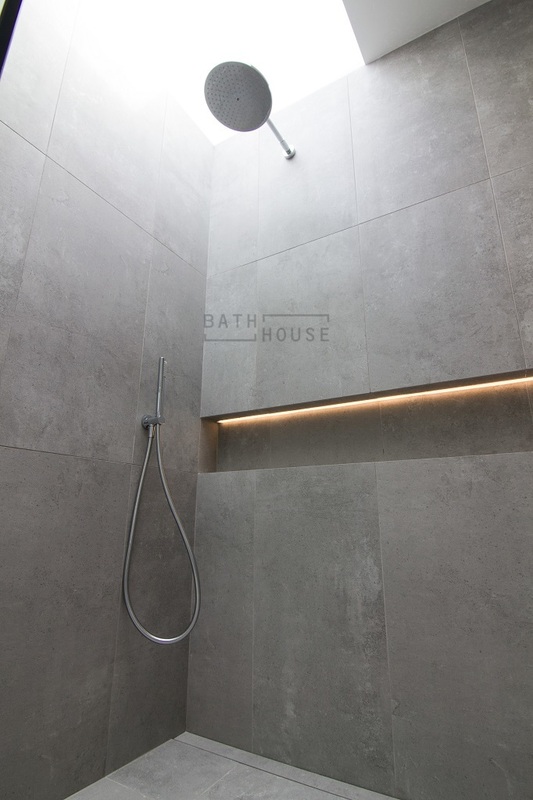 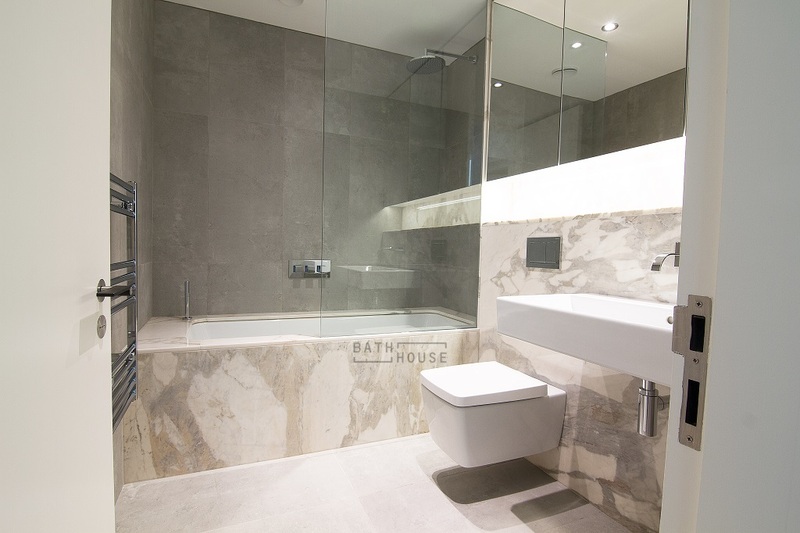 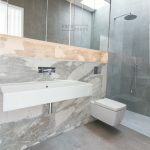 Showers: Bath House Bespoke Glass Shower Enclosures. 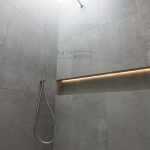 Tece DrainLine Linear Shower Drains. 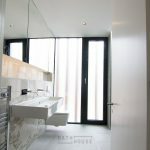 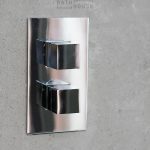 WC’s: Vitra M-Line Wall Hung WC with Geberit Frame and Sigma Flush Plate. 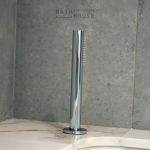 Towel Radiator’s: Reina Capo Towel Rails.